Vertical plastic tanks are free standing with a flat bottom for indoor or outdoor installations. 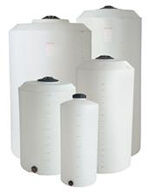 Vertical plastic tanks are manufactured from medium- or high-density polyethylene with U.V. inhibitors. Vertical plastic tank walls are translucent for level viewing and equipped with gallon indicators. Warranty period is (2) two years. 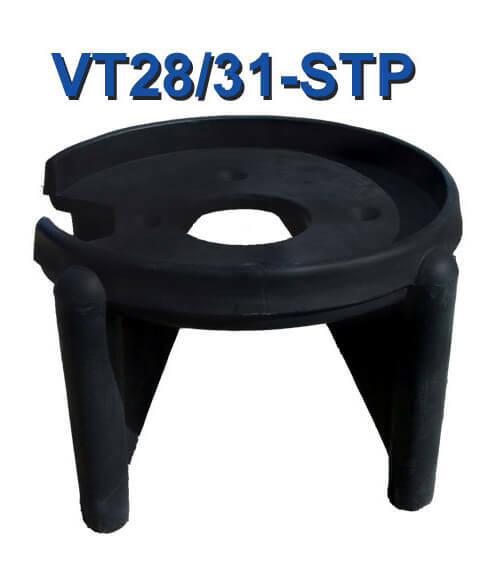 *Tank stands are available for 175-265 gallon vertical plastic tanks. ( See below ). Extra large vertical tanks. Tanks stands are not available for these sizes. Stands are designed to hold vertical tanks. They are made of metal or polyethylene. 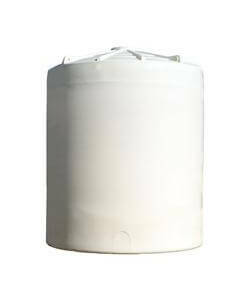 Continued or prolonged service with certain chemicals at elevated temperatures may reduce the life of a polyethylene vertical plastic tank. The effects of the temperature on the polyethylene will depend on the chemical chemistry, chemical specific gravity, size and model of tank the chemical is to be stored in, and the tank wall thickness. Consult the chemical manufacturer for recommendations regarding storage in polyethylene tanks and service temperature limits. Ace Roto-Mold tanks are molded from polyethylene compounded with the latest technology in ultraviolet (UV) light stabilizers. These UV stabilizers will reduce the harmful effects of ultraviolet light exposure and are intended to extend the life of the poly tanks over similar materials that are not compounded with stabilizers. ESCR is a method used to evaluate or test processed polyethylene for stress crack resistance when exposed to a chemical for a given amount of time. Most polyethylene resins are rated according to an ESCR value that is specified in the material specifications data supplied by the resin supplier. Certain chemicals, although having no direct chemical effect on polyethylene, may accelerate cracking under mechanical stresses. Elevated temperatures may also affect polyethylene cracking. Although all processed polyethylene resins are subject to stress cracking, some are more resistant to it than others. Please reference the material data specifications for ESCR ratings for the tank model selected. To reduce the effect of ESCR, proper care should be taken to reduce stress at fittings, bands, tie down lugs, etc. Specific Gravity is the ratio of the chemical weight per gallon divided by the weight of water per gallon (8.33 lbs per gallon). As an example, if a chemical weighs 10 lbs per gallon, the specific gravity of the chemical is 10.0/8.33 = 1.2. The standard color for most of our poly tanks is natural (translucent white). Yellow is the standard color for crop care tanks, septic tanks, and liquid feeders. Spot sprayer and vertical tanks may be inventoried in both natural and yellow. Standard stock tanks are spruce green. All tanks may be ordered in non-standard colors such as yellow, black, or green as an option. Our tanks are manufactured using FDA compliant resins. 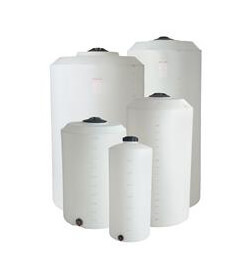 Natural, black, and green colored tanks are in full compliance with current FDA standards for polyethylene tanks. However, certain colors when blended into the resin, may effect this compliance. Consult the factory regarding other colors and FDA compliance. Please specify on your tank order if FDA compliance is required and we will assist in your selection.